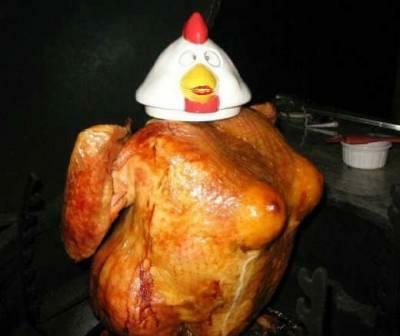 Small Titted Birds - Are Natural Breasts Best? Discussion in 'Beer & Food' started by Serial Midget, Nov 21, 2012. We're not roasting until tomorrow so if you have natural turkey roasting experience I'd like to hear about it. its interesting to note that your typical self-basting water injected turkey has breasts so big they couldnt stand up if they wanted to. What you got against fake turkey breasts? I don't have anything against artificially enhanced bird breats as those are probably all I've been exposed to. What I've noted so far are breasts about 1/3 smaller on the natural bird. The Turkeys my in-laws raise get huge and tasty. We feast on one for days and make soup at the end. It's delicious and satisfying to know it was raised on site and there is the opportunity for more. This year the bird fed 14 people on Turkey day, had 3 days of leftovers, one pot of soup, and still has some meat in the freezer. I couldn't imagine how many meals we would get if my wife and I cooked one of these giants at home.